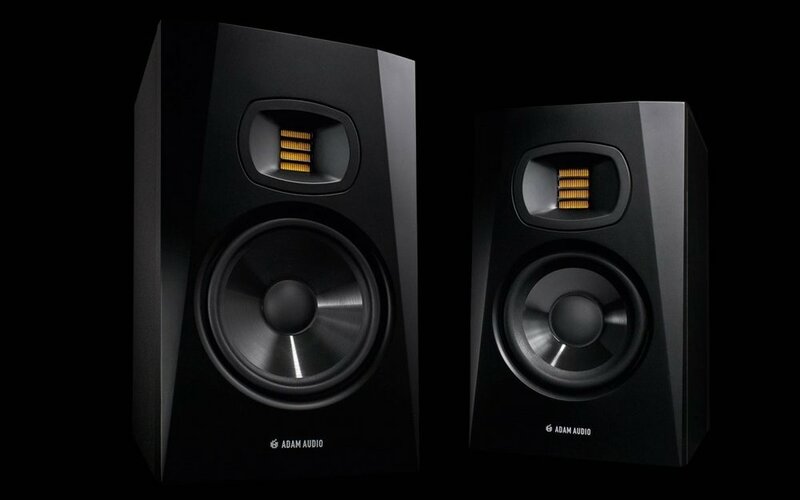 The S Series is ADAM Audio’s new flagship reference monitoring range. The range is the combination of many years of advanced in-house engineering innovation at ADAM and the latest computer aided design techniques, and does not employ off-the-shelf loudspeaker technology. The AX-Series from ADAM Audio provides you with a wide range of monitors for different applications. Their excellent price performance ratio makes them suitable for professional studio applications as well as upscale home recording. 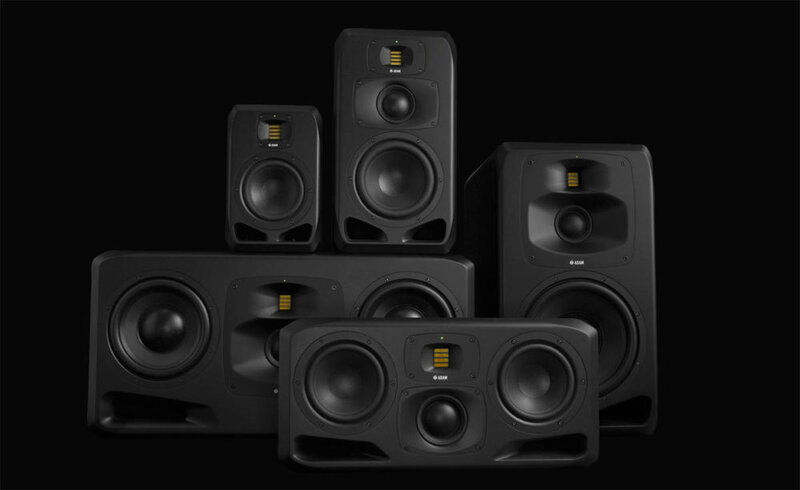 The T Series is ADAM Audio’s new range of affordable, professional 2-way powered studio monitors, offering extremely high performance and is comprised of two models: the T5V features a 5” woofer and the T7V uses a 7” woofer. 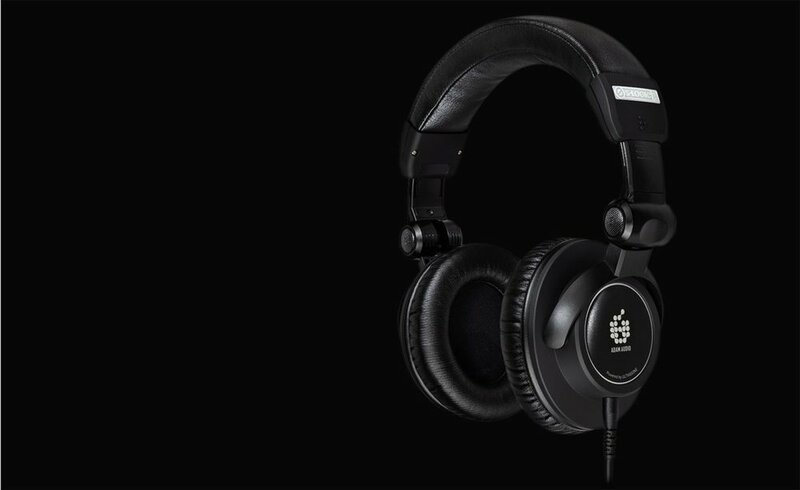 The ADAM Audio STUDIO PRO SP-5 headphones are the result of collaboration between two engineering-focused German companies, ADAM Audio and Ultrasone. Both firms are run by professionals who are passionate about creating products that offer the best possible audio reproduction. During the product’s design, the ADAM SP-5’s components were carefully selected, iteratively re-voiced and tuned, and changes were made to its diaphragm and housing based on direction from ADAM Audio’s engineers, until the headphones’ sound and tonality was right and carrying the renowned ADAM Audio sonic signature. ADAM Audio subwoofers are designed with one primary goal in mind: Achieving absolute accuracy and an authentic natural sound in the process of music reproduction. This means combining exceptional bass power with precision and clarity in every subwoofer. These elements are the perfect partners to complement the highly acclaimed clarity and transparency of ADAM monitors in the lower and lowest frequencies.